After too many years as an IT developer with various financial organisations I went back to University to study to be a teacher. I graduated in 2008. I am a mother of two - one girl and one boy. I am interested in new technologies especially how they can be used in education. I am Apple Teacher. I am a keen football supporter but gave up my season ticket due to being disheartened and lack of money/time. 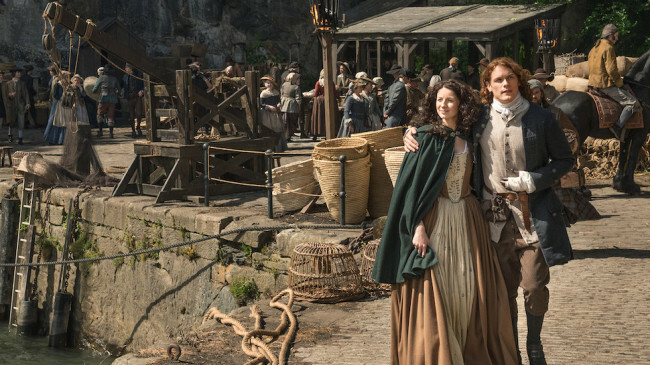 Last Autumn the Outlander crew were spotted filming at New Hailes House near Musselburgh. I have never been in the house, yet, but regularly enjoy a walk-in the grounds plus coffee and cake at the cafe! 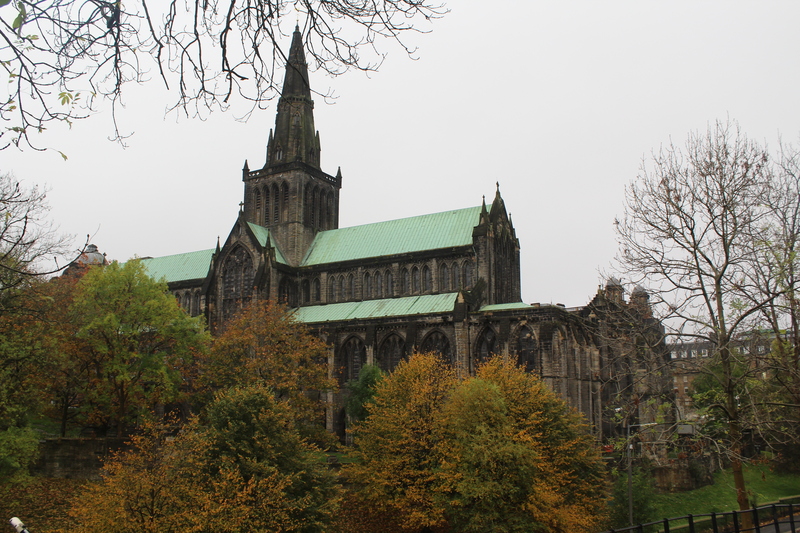 In season 2, Glasgow Cathedral was used as a filming location for L’Hospital des Anges. They used the nurses chapel in the lower part of the church for where Claire recovered after losing Faith. Earlier this year Outlander was filming in Edinburgh in Bakehouse Close just off the Royal Mile. I didn’t manage to visit when the crew were in town but a few weeks after they left I visited the close. I believe the close was used for the print makers fire. On a damp Saturday in August I drove through to Kilmarnock to visit Deans Castle. It is situated in Deans Country Park. The castle was used in season 2 in episode 8 – “The Fox’s Lair”. Dean Castle, home and stronghold of the Boyd family for over 400 years, is open all year round to visitors and is one of Ayrshire’s greatest free attractions. The Keep, dating to around 1350, and the Palace or Place, built about 100 years later, house outstanding displays of historic weaponry, armour, plus medieval tapestries and more. The restored 15th century Palace was spectacularly restored from ruins by the 8th Lord Howard de Walden in the 1930s in keeping with the interior design of the 16th and 17th centuries and even re-using original 17th century fixtures and fittings taken from Balfour House, Fife. It is clear why Dean Castle has been regarded as one of the finest restored medieval castles in Scotland. The 8th Lord Howard de Walden inherited Dean Castle in 1901. He was a man of many interests and during his life he built up one of the country’s finest collections of arms and armour which are now housed within Dean Castle, alongside his father-in-law’s collection of rare and important early musical instruments. In Vengeance is Mine, the last scene takes place in the kitchen of the Duke of Sandringham’s house. I visited today and was able to take photos. The kitchen has costumed interpreters which creates an exciting interactive experience with samples of early-19th century food providing added taste to stories of working life in a large household. Callendar House is worth a visit. I loved finding out about the history of the house especially the Jacobite connection.